Prepared by Holly McLain & Leslie Thomas – Members of the Glassier Steering Committee and representing the RFVHC for Truck & Trailer Parking with access to “The Crown”. The intent of this letter is to be useful in bringing further thought to the Glassier OST management and lease process. This document is based on the lease information found on the OST web site, which is the only information available to us at the time. We are extremely supportive of all agriculture in the Roaring Fork Valley and applaud the OST for purchasing land to preserve this rural heritage. We recognize that this is a difficult and rigorous learning process, and the RFVHC wholeheartedly supports the Pitkin County – OST for their endeavor to create high standards in their management goals for agriculture on Open Space properties. We hope this letter will be helpful and inspiring for continuing the pursuit of these commendable goals. To Summarize, the lease value of this parcel generates 2 tons/acre, at $250/ton for 44 acres, that equals $22,000 per cutting. These meadows get two cuttings each growing season, so that equals $44,000. Given the information below, it is possible that Pitkin County – OST could net a cost share amount of $22,000, versus the annual proposed lease fee of $450 annually. 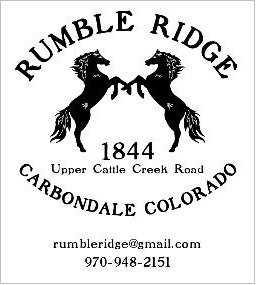 The going rate in the Roaring Fork Valley for small bale grass or alfalfa good quality horse hay is $8/bale ($250/ton) to $10/bale ($300/ton) at this time. Drought conditions can send the price as high as $15/ bale ($450/ton). The number of bales/ton differs between 25 and 30 bales/ton depending on the weight/bale. Organic weed free hay sells for more. T Lazy 7 Ranch is getting $15/bale ($450/ton) for their organic, weed free certified hay. There are many undefined promises in this lease agreement. Where are the pipe and irrigation improvements taking place and for what purpose, and to what specifications? This lease mentions home-site areas to be rehabilitated. Where are these areas, and what specific work is to be done? How do the potato crop rotation, the haying operation, and the cattle operation work on 44 acres of land? This is unspecified. Are there any undisclosed partnerships on this parcel A? Kevin Roberts, Silt, CO – $7/bale for grass alfalfa mix ($196/ton) Yield in Silt-New Castle area is 3 to 5 tons/acre with two to three cuttings. Max MacDonell - Manages hay and cattle operation on Strang Ranch & another large ranch in Missouri Heights. Contracted at cost share 50%leasee/50%owner, owner provides the water. 70% leasee 30% owner, or 60% leasee/40% owner, depending on travel time for the doing the haying. Or 40% lease/ 60% owner provides the water and labor for irrigation. To summarize, for example if someone has 45 cow/calf pairs (90 head) on irrigated pasture for 5 months, at $40/pair that equals $9,000. In the same season, you hay 45 acres (1/2 ranch acres) with one cutting of hay that generates 2 tons/acre, at $250/ton, which equals $22,000. Then the yearlings are typically sold at market price. Potentially, Pitkin County-OST could net $9,000 for cattle the operation, and $11,000 for the haying operation, however it is questionable if 45 pairs could be sustained on this parcel A. Information is needed on leases A & B regarding how many head of cattle are being grazed, for how many months, and at what price per head/month, written in the leases. The number of cow/calf pairs and, or yearlings grazed on this lease Parcel B should be specified as to numbers and months of use to prevent overgrazing. Private grazing rates across the Western U.S. climbed more than 5% for the 12 months through January 2015/ animal unit month (AUM) that’s up from last year’s cost 4.5% increase, according the latest USDA January Cattle Survey. Max Macdonell runs the cattle operation and haying on the Strang Ranch and another large ranch in Missouri Heights. Max, a second-generation rancher, and is both leasee and leasor for cattle, cow/calf pairs and yearlings, and haying operations. His leases are spring to fall, during the summer growing season month, May through October (5 months). Cow/calf unit price/pair on dry land pasture leases for $20/ pair/ month, and can be up to $40/pair/ month on irrigated pasture. Yearling lease fee is usually $15/head/month for dry land pasture, and up to $30/head/month for irrigated pasture. Most ranchers will graze the irrigated pastureland first month in the spring, then run their cattle up on the rangeland if possible. Ranchers get one or two cuttings of hay, then they bring the cattle back down to the same pasture for some grazing before they load the cattle for market. Depending on the market and the weather, ranchers keep their operations changeable, which is why leases are flexible, and set annually. Over grazing is a problem for all land owners. Any leased land should be managed with rotation to prevent overgrazing, which causes denigration of soil, weed infestation, and damage to ditches and water flow. Todd Stoner runs 150 head of yearling cattle on Connie Harvey’s Ranch in Snowmass Creek, Colorado. He rotates those cattle across the 1800 acres, onto four, 600-acre parcels, then into the high country for September and part of October. They go to market after that. The Grange Family Ranch is just outside of Basalt, Colorado. They have 110 cow/calf pairs, 5 bulls, and anticipate calves each spring. They allow about 4 acres of irrigated pasture per cow/calf pair, if they're being pastured and not supplemented with any bales of fodder. After calving, they move their pairs to another family owned ranch in Collbran, Colorado, for the summer with permitted high country grazing. (500 acres of it is irrigated pasture although the total acreage of that ranch is around 1400 acres - much of it is hillside and other places where grass doesn't really grow). During that time, their home ranch pastures are dragged, rested, and returned to health. This area has historically been used for parking of trucks, trailers, and ranch machinery. The RFVHC is asking for this area to be designated, as Truck & Trailer parking, with a shared entrance for handicap, special needs parking, but with separated enclosed areas. When we did our site visit in March of 2014, the Steering Committee parked and walked through the gate and across the parking area. During our horseback ride inspection in October of 2014, we easily parked our horse trailer, with no problems on the existing gravel bar base in the bone yard. All excess irrigation water coming from the field above could be channeled away from the parking area on Parcel C.
Equestrian and handicapped parking could share the same access gate, but be separated from each other by a fence. This specialized parking area would insure that these user groups would have a place to park. Any extra lands not used by the handicap or equestrian parking could be utilized for soil restoration, and other agricultural endeavors. Equestrian parking is completely compatible with the Co Op’s agricultural proposals. Fruit trees surrounding the parking area on Parcel C would be beautiful. Recently, the White River National Forest Service relayed to us that there are many USFS trailheads, were horse truck and trailer parking no longer exist. Many parking lots are full of pedestrian cars, despite the efforts of the USFS to improve these parking areas. We asked if it would be possible to enlarge lots for trucks & trailers, and was told, that in areas where they had done this, more cars came, and again equestrians were closed out. Co Op (suggested with fruit trees, cut flowers, rabbits, and honey production). All potential lease holders on all parcels should have to present a sound business plan, with specific operating procedures, that includes a comprehensive water irrigation use plan, which would fit into the over all shared irrigation water system. We embrace the Co Op’s intentions and look forward to seeing their business, operational, and irrigation plans. Triangle of .6 acre of land with trees. Suggested Truck & Trailer Parking site? None of the written proposed leases mention the acreage for any of the parcels. The only acreage labels are on the parcel map, which is confusing for Lease E.
The words identifying Lease E -.6 acres is placed on the map directly over the section depicting the homestead-brick house, all the outbuilding, many trees, and wetlands. The small triangle of land, which is separated by the road, but is the same color as Lease D, appears to be part of lease D. Property descriptions with specific inclusions of any structures should be provided for all lease parcels. After reading proposed Lease E, there are so many questions. Which buildings if any are included? What usable land is included? Are the wetlands depicted on the labeled Lease E parcel included? Considering the cost of construction and rentals in the Roaring Fork Valley, if any buildings are included in the lease, the lease price seems inconsistent with the value. We can make neither heads nor tails of this. At $13.80 annually, this has to be a mistake. Gary Tennenbaum proposed this location for the equestrian parking. Parcel E has so little useable land (.6 of an acre), and so many trees, it seems to be unsuitable for shared use. It is doubtful that trucks and trailers would be able to pull in, park, and exit functionally. To make this area functional for parking use, trees would have to be removed, which would be a pity. Vegetable production, fruit trees, and small animal husbandry. We recognize that ACES is a wonderful non- profit educational organization in the Valley, and the adjacent landowner, Mr. Carricarte is a nice man. We are having difficulty understanding why they would need to appropriate public land for ten years at a fee of $75 of annual revenue. Vegetables and small animal husbandry are annual yield enterprises. We do not understand the justification for a ten-year lease. In mid January 2015, Hugh Osborne from the Dept. of the Interior, with the Colorado Parks and wildlife State Trails Program, made a site visit to the Glassier OST property. He has 35 years of experience designing recreational, multi use trails, easements, and parking areas throughout the United States. Hugh’s recommendation was to locate the equestrian truck and trailer parking, perhaps with handicap users, in the bone yard on Parcel C. He also recommended putting parking for cars on Parcel F. He said this could benefit the elderly and families with very young children, who would have trouble walking from the proposed Carricarte land, which is being negotiated for purchase. Specific language in all leases should include a business plan, an irrigation plan, facility & structure maintenance and improvements plan, and any recreational use for parking and access to the 9,100 acres on “The Crown”. The annual leases with the annual review process of the leases will insure fair and transparent agricultural land management practices for County OST Lands. Analysis of the content for all Glassier agricultural leases should be done prior to asking Pitkin County BOCC for major exemptions from standard one-year leases. The annual lease agreements will give everyone time to make sure that this process and a master plan has time to mature in a functional appropriate way. We respectfully submit this letter in hopes that it will be received graciously, in an effort to assist in making the Glassier OST property a well planned, well kept, functional, beautiful, innovative example of sustainable agriculture, which includes parking for all recreational users to access the “The Crown”. Members of the Glassier OST Steering Committee from its’ inception.